The inspiration of this watch is from Seattle’s famous landmark Space Needle, the central location is the cloud-kissing spire, the whole dial is the overlook silhouette of Space Needle. To reflect sense of the future of Space Needle, the unique grainy dial seems to let people see the vast bright stars. Space needle silhouette dial, Unlike the single date of other business watches, the date window of Space Needle could show three dates of yesterday, today and tomorrow, so you can grasp the passage of time and every second currently, able to face future challenges and opportunities leisurely. 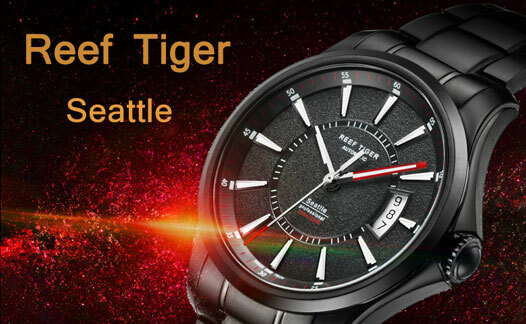 The crown of Space Needle uses three kinds of design, the radioactive screw threads at the bottom reflect space sense of the future, the top polished and smooth handling fits the business spirit of Seattle series, the outstanding gear design in the middle part brings comfortable using feeling. Space Needle is a lume watch, its hands and hour markers are all filled with Swiss luminous material, the price of one kilogram of Swiss luminous material is 380,000, which is much more expensive than gold. 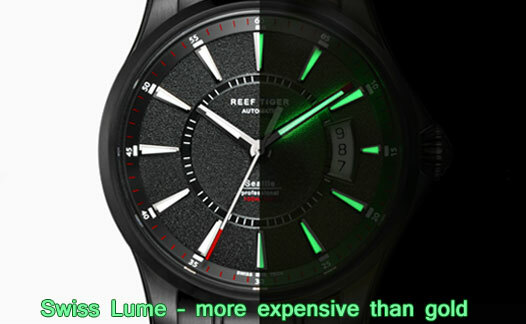 Of course, the common lume material can not achieve such brightness and sustainability. The dial of Space Needle is processed with spark lines, three layers of copper plates are used as dial mould, the uppermost copper plate is then corroded by electricity and forms granula in same size, so the dial gives people the sense of starlit sky. Seattle Space Needle has red, yellow, blue hands options, which echo with the color of seconds scales. 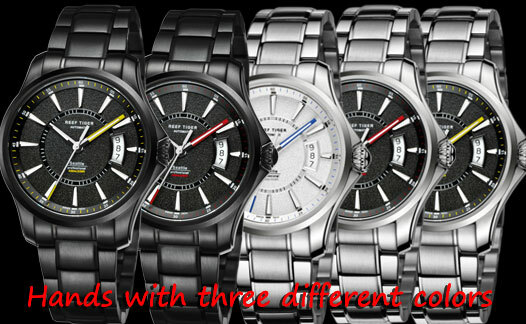 Interestingly, these three different colors only appear on minute and second hand, which ensures that the watch fits Seattle’s elegance, but won’t lack interest of space future elements. 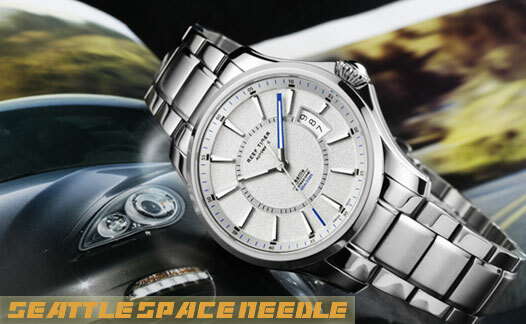 To match the space sense of unqie grainy dial, the band of Space Needle uses 3-link design, the middle part is brushed and two sides are polished, the brushed lines are straight and orderly, the polished parts are shiny as a mirror.